At the Cheese Curd Festival, we offer the best of both worlds–2500 lbs. of cheese curds served up with a heapin’ helping of music on the side. Festival guests will find an array of musical talent, from solo acoustical country and rock artists to several piece bands playing your favorite blues, jazz, Cajun funk, and soulful genres. 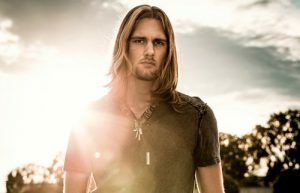 We’re welcoming Cole Allen back to the festival this year. This critically acclaimed solo artist and guitarist is without a doubt one of the most exciting singer/guitarist/songwriters of contemporary blues and rock music. He’s a favorite among our regular festival attendees. New to the Cheese Curd Festival entertainment lineup is Reverend Raven and The Chain Smokin’ Altar Boys. Born and raised on the south side of Chicago, the Reverend has been playing the blues since 1971 when he first saw Freddy King play at the Kinetic Theatre in Chicago. After a 16 year hitch in the Navy, Chief Raven moved to Milwaukee where he began a long friendship and collaboration with Madison Slim, long time harmonica player for Jimmy Rogers. Boys and girls, we know you’re gonna love ‘em! And Miss Myra and The Moonshiners are coming! 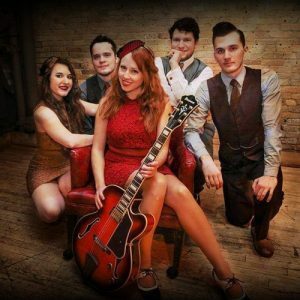 This formidable 5-piece swing band brings a fresh female-driven perspective to traditional New Orleans and hot club jazz, playing classic tunes from the ‘20s and ‘30s along with inspired originals. Powerful vocals, a smoking horn section, and sweet rhythm–they are guaranteed to lift spirits and make you wanna dance! Have your favorite craft brew in hand for Tim Fast. He could be a character in one of own originals. He’ll feel like a long lost friend—you’ll love his musical storytelling. That sense of adventure has given him a collection of original songs that touch audiences from coast to coast. Looking for something high-energy? The Swamp Kings will be bringing every bit of New Orleans Funk and Cajun Boogie right up the Mississippi River to the festival. Soulful vocals, swampy guitar, spicy accordion and just the right amount of heat from the rhythm section make the perfect mix of ingredients for a good time. Boom Boom Steve V & the Knockouts, and their high-energy, post-war Chicago blues, Memphis-soul, and West-coast swing making them a standout in today’s “blues” scene. Folk, Country, and Rockabilly music icon, Sherwin Linton, who will be performing the Elvis, Marty Robbins, Chuck Berry, Buddy Holly, and Johnny Cash songs you love so much. 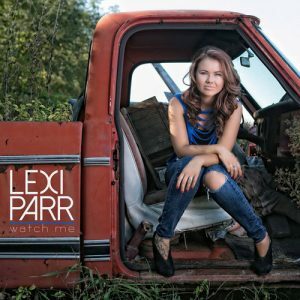 Old soul, Lexi Parr… Get ready folks, she wails like Janis and commands the tonal spectrum like Etta James. You won’t soon forget this deep, sultry voice. Left Wing Bourbon and their blues, funk, and feel-good sounds. They’re always a lot of fun! Plus, the passion and pipes of Twin Cities blues and soul singer, Joyann Parker. This girl has got it going on! So while you’re taking in all the food and brew tastings, save room for a sample or two from this eclectic musical lineup to make your Cheese Curd Festival visit complete! Visit our Entertainment page here to learn more and so you don’t miss a thing check out the performance schedule here. Ellsworth Cooperative Creamery is Foodie Heaven And the Eats get Cheesier!